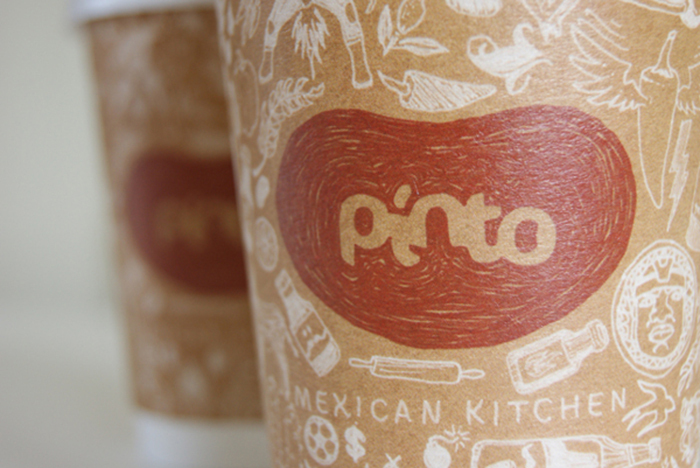 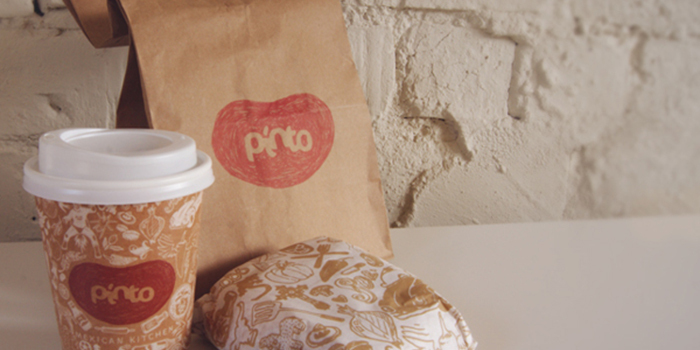 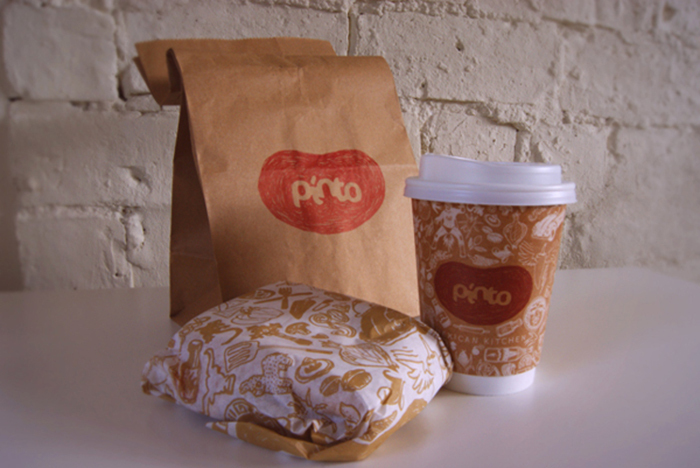 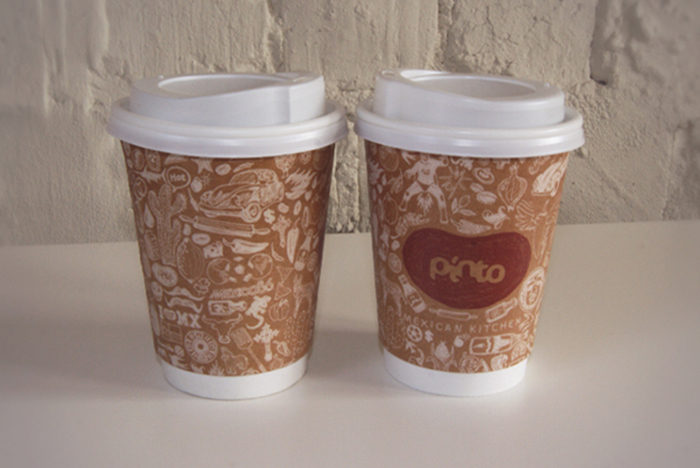 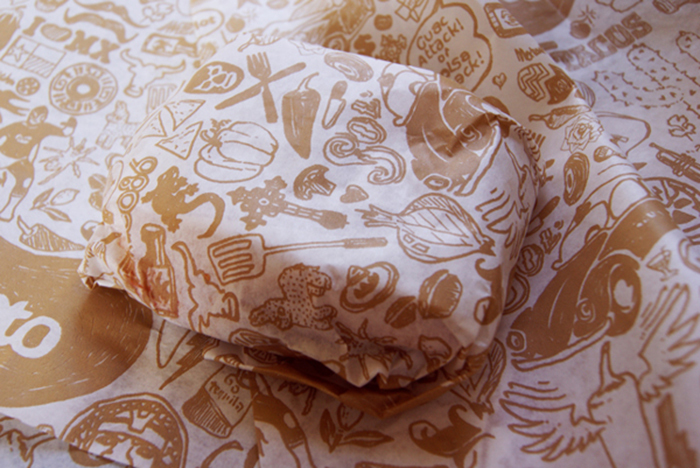 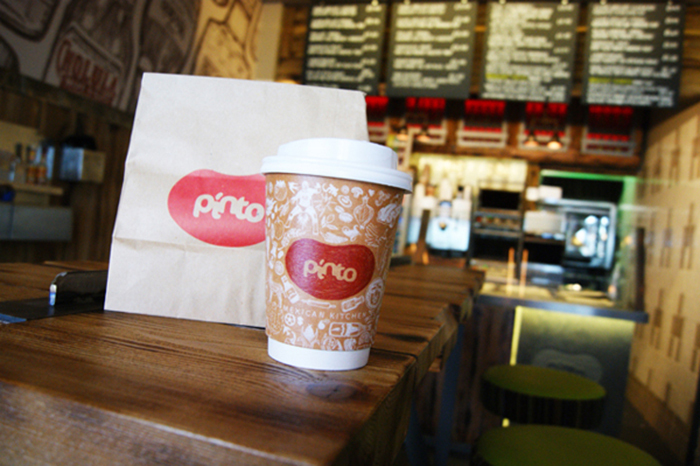 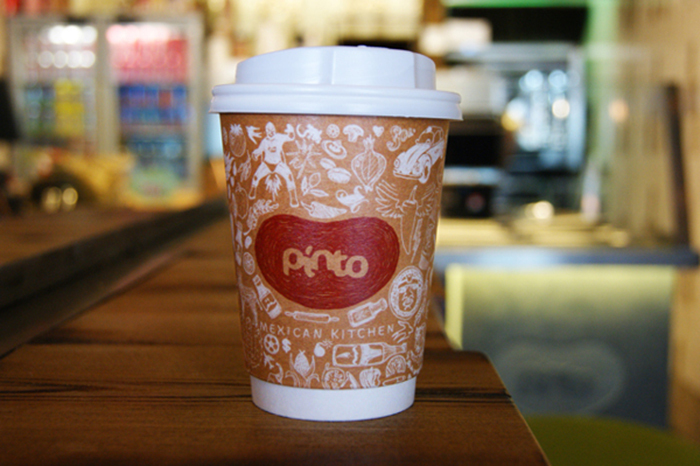 A illustrative response to enhance the Pinto take-away packaging in a interesting and hand crafted way. 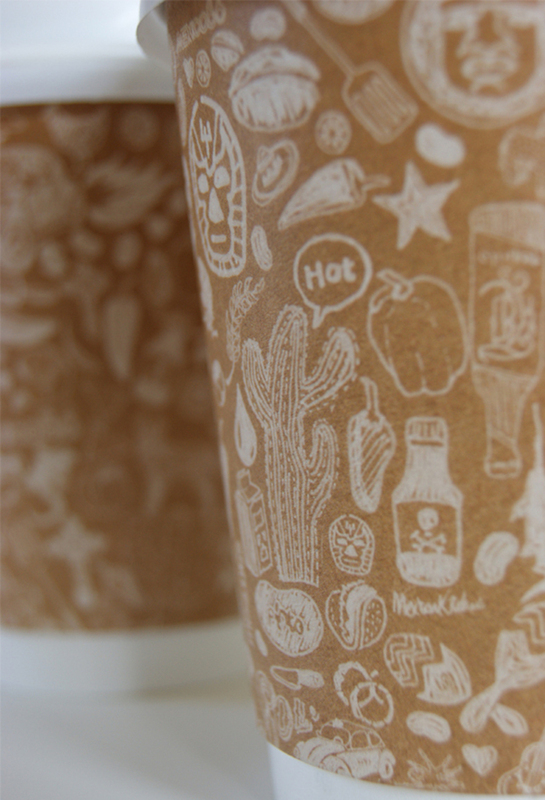 The 12oz Coffee cup, paper bag and greaseproof paper were all decorated with Mexican doodles influenced by the Latin culture. 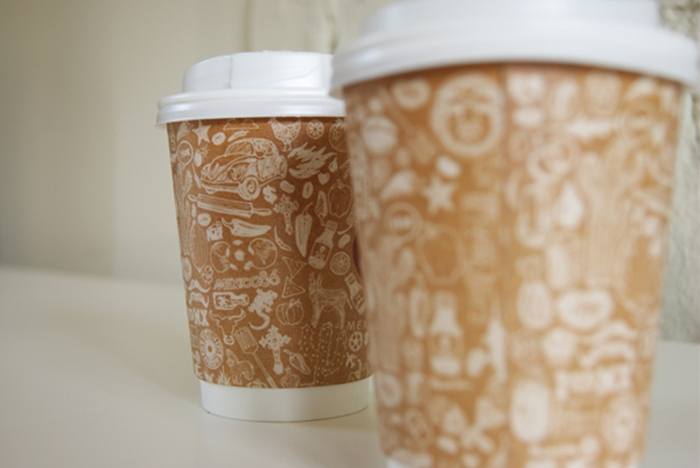 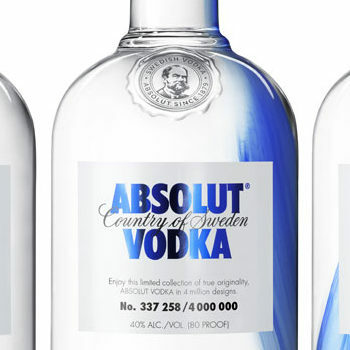 This helped to unify all the company’s consumable packaging into one style and make an impression on customers, as well as pulling attention to the brand outside the restaurant. 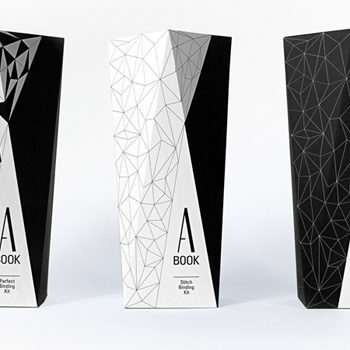 Designed by: my creative, United Kingdom.